Over at Julie's: 100 Posts and Most Viewed . 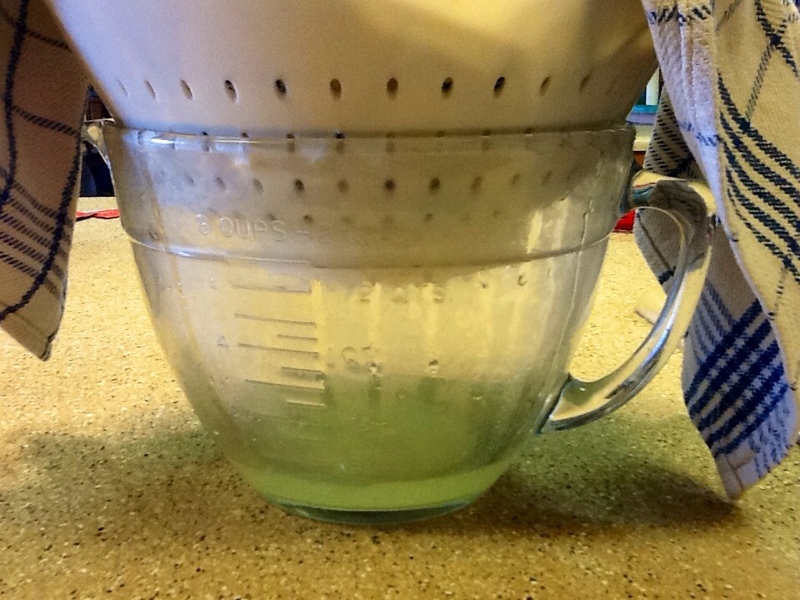 . . Easy Crock Pot Greek Yogurt! 100 Posts and Most Viewed . . . Easy Crock Pot Greek Yogurt! Today I celebrate the writing of my 100th post! Woo hoo!!! Before I began, I worried about writer's block and wondered if I would run out of things to share. The program I was using crashed all the time, which meant sometimes I had to totally rewrite my posts from scratch! In spite of all the obstacles . . . Surprise! I have found I have so much I want to share and it thrills my heart that you stop by to visit! My true heart in blogging is to create a friendly, loving, supportive community where people can come together to learn and grow and, receive encouragement to try new/old skills in the art of homemaking, relationships, cooking, baking, gardening, soap making . . .The list goes on and on! Writing this blog keeps me on my toes, constantly researching, learning new skills and ways to become more self reliant, and more aware of healthier options to live a more purposeful, intentional lifestyle. I am encouraged by the number of people from all over the world who have visited Over at Julie's. I look forward to getting to know you better as we share our lives! 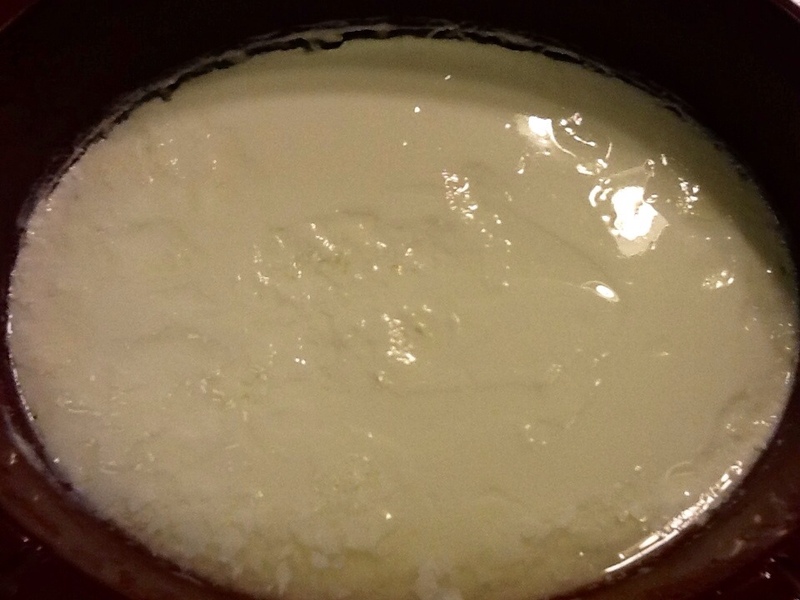 The most popular post I have written is Easy Crock Pot Greek Yogurt with 11,257 viewings since March 4, 2012! Apparently there are a lot of good folk out there interested in making their own healthy Greek yogurt at a fraction of the cost! I just finished a batch of yogurt today! If you haven't made up your own batch yet, I encourage you to try this recipe and write to let me know how you did! Below are some photos I took today; hope they inspire you! How Greek Yogurt looks after it's cultured over night. 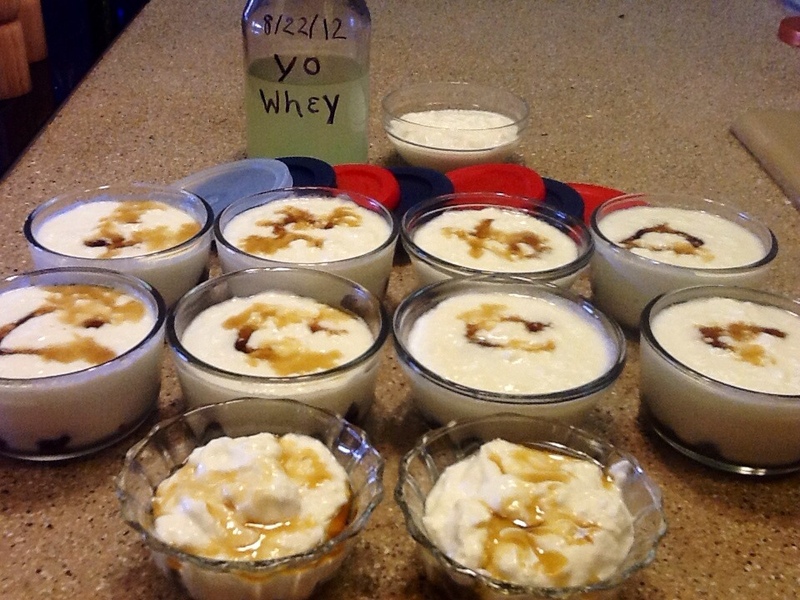 Allow whey to drip into an 8-cup measure until you have 1 to 2 cups of Yo-Whey. Meanwhile, set out yogurt containers. 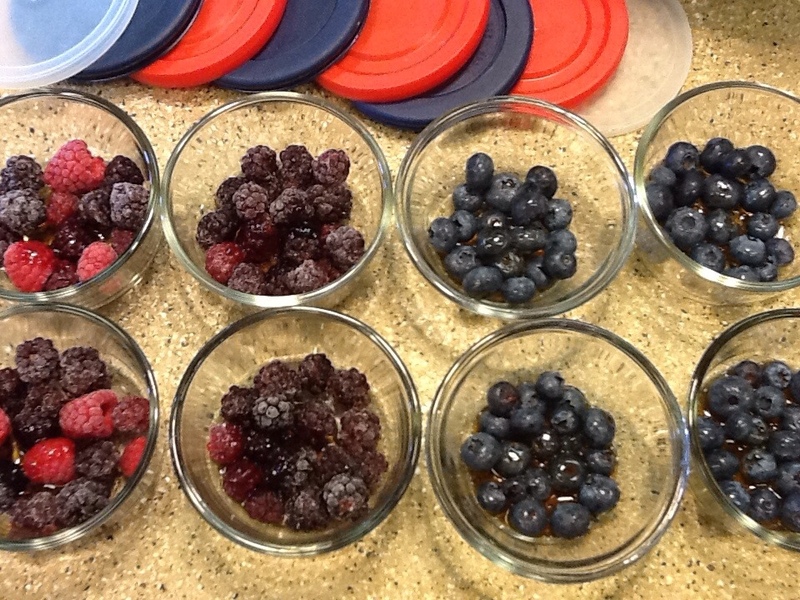 Fill containers with fruit and a drizzle of honey or maple syrup. 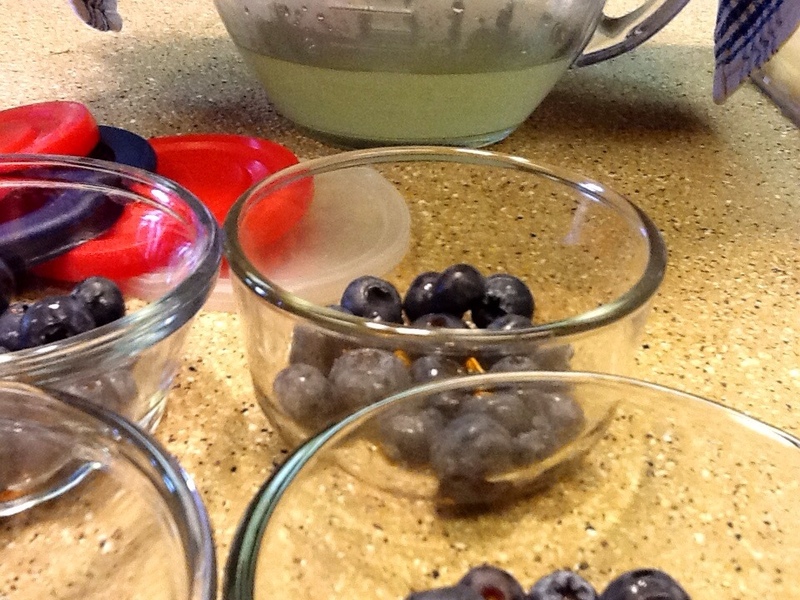 Whey should be drained enough to begin topping fruit with Easy Crock Pot Greek Yogurt. 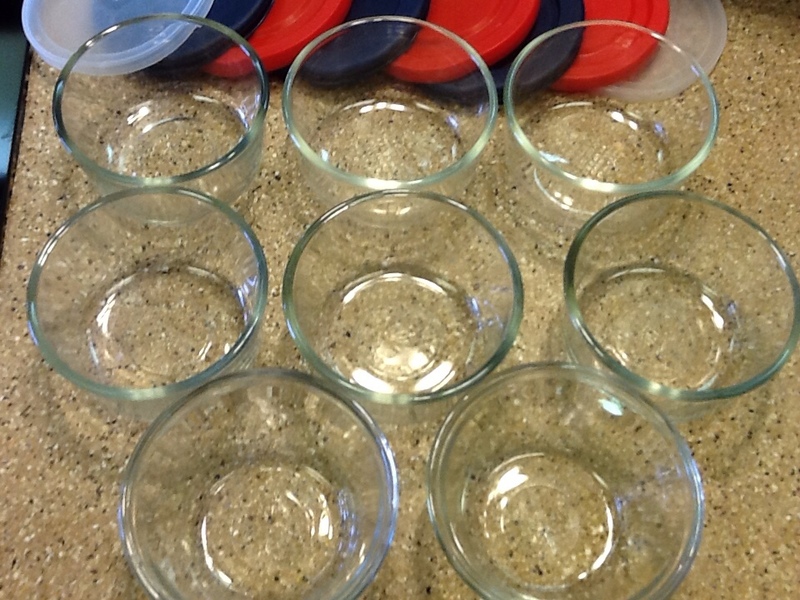 Eight containers with snap on lids ready for the refrigerator, and 2 bowls for our mid morning snack! Top yogurt with another drizzle of maple syrup or honey. Save out 1/2 cup of plain yogurt to use as your starter for your next batch of yogurt. Label and date whey and starter. 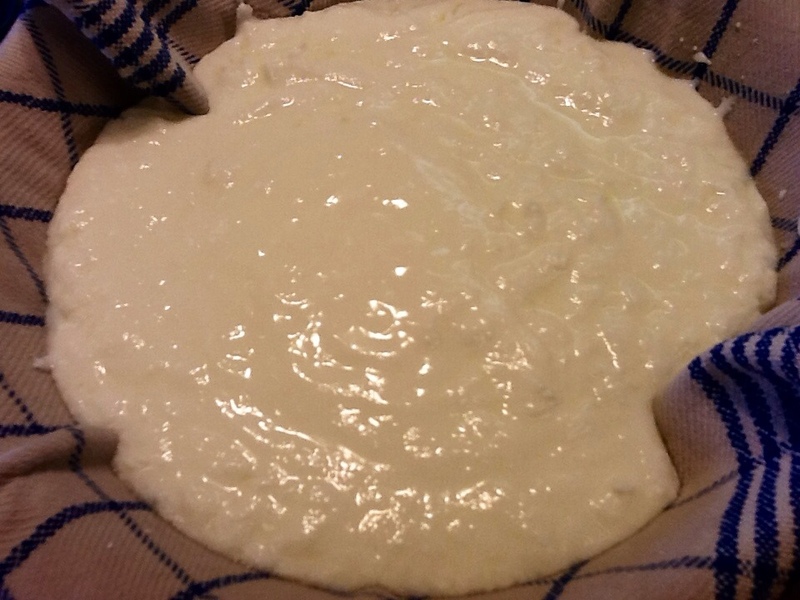 Refrigerator yogurt, whey and starter. 100 posts in 222 days! Thanks for making writing this blog such a pleasure! I'm looking forward to growing in relationship with you, as we learn and explore . . . Over at Julie's!! !